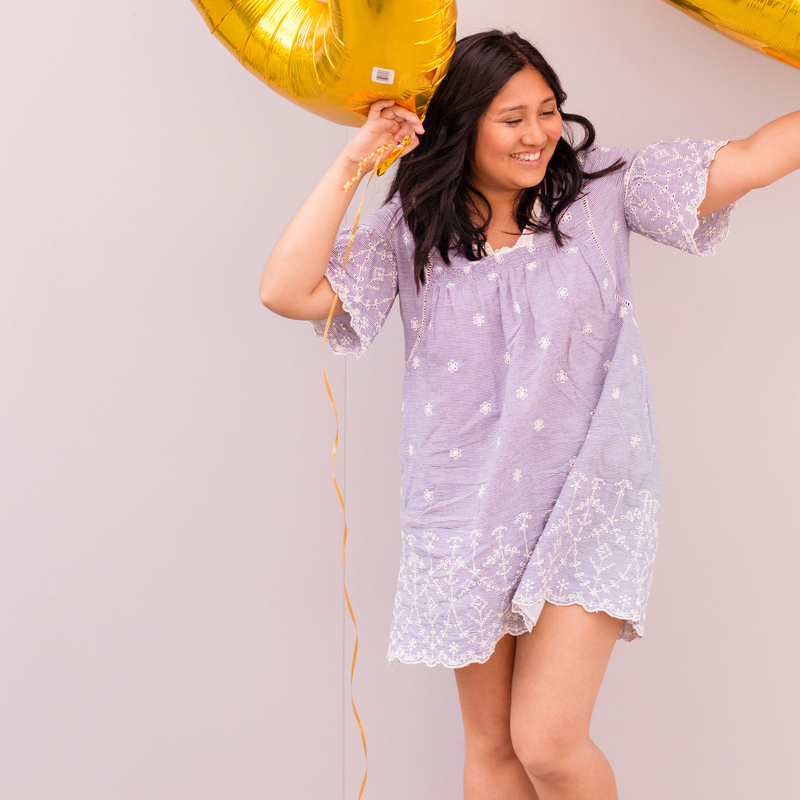 Vroom, vroom – hop in and let’s party on! 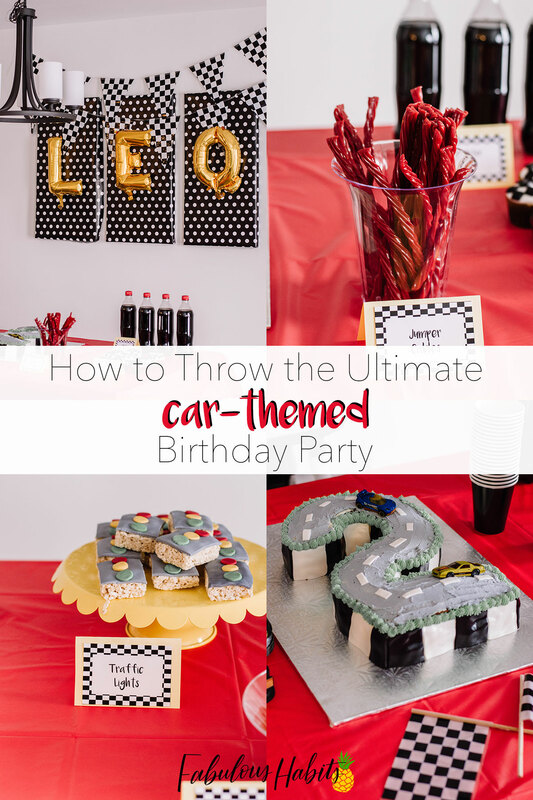 Here’s how to throw a car-themed birthday party. 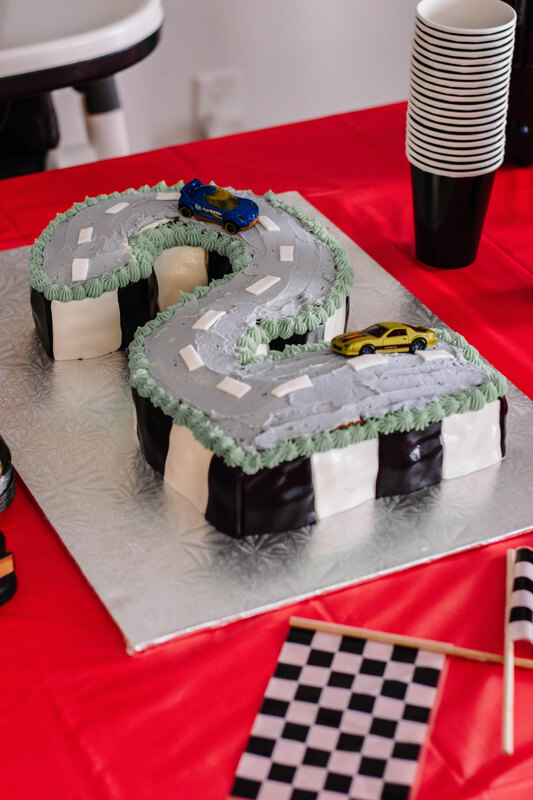 A party fit for any car lover… and in our family’s case, our little toddler! I’m all about themed birthday parties. When he turned one, we threw him an amazing Jungle Party, which took place in a hall. In my family’s Filipino tradition, turning one calls for a huge celebration. 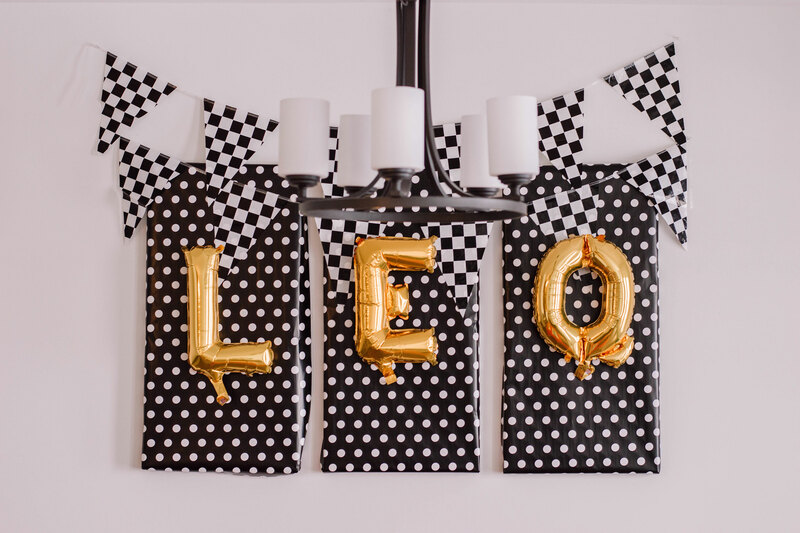 For Leo’s second birthday, we kept it small but of course, still stuck with a theme. Hall or no hall, I still wanted to go all out for food and decorations. Without a doubt, I put together a car-themed birthday party and you know what? No regrets. I had so much fun with it. Looking for a few ideas for your next themed party? Here are a few suggestions for a car-themed one! When it comes to home parties, I think it’s all about the sweet table. In a hall, you can have fun with cenrepieces, place settings, and linens. 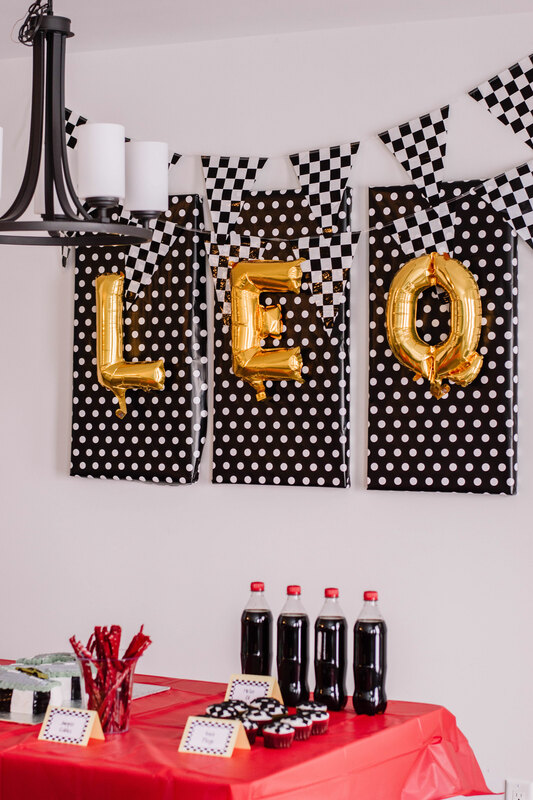 For Leo’s car-themed birthday party, I emphasized our dining area: complete with a colour scheme and fitting snacks and desserts. Made up of fondant and rice cereal treats, these were so fun to make! (Psst: to save time, I purchased ready-made rice cereal treats so that I can just focus on the fondant work). Yup, our guests were gulping on motor oil… er, I mean, soda! Duh! Just remove the labels off of your favourite dark soda and place a label that indicates it as “Motor Oil.” So easy, right?! Again, with these treats, I opted for a quick cake mix so that I could place all of my energy and focus on the fondant pieces. 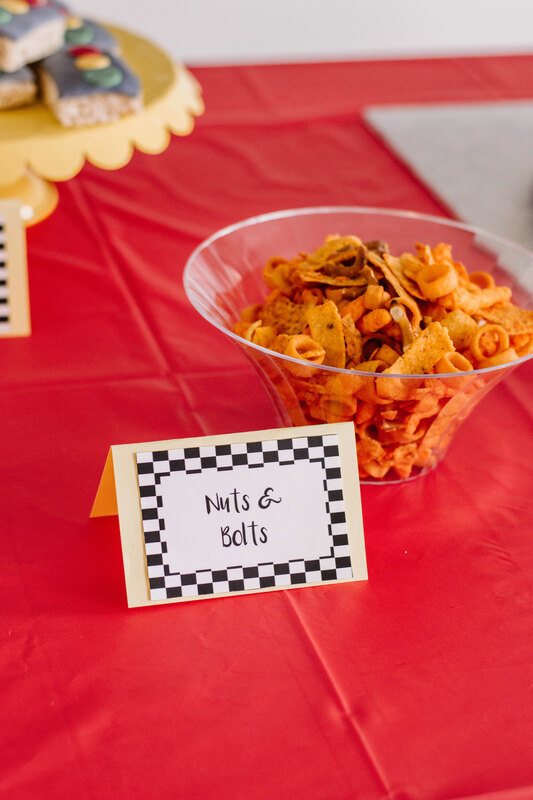 When it comes to themed parties, it’s fun to give well-known snacks new names. This way, they can fit right in with your theme. Ladies and gents, the pièce de résistance my homemade #2 Track Cake. Yes, yes, yes: all made by moi! A homemade chocolate cake, formed to be the number 2 (with the help of two circle cakes and one square one). The black and white panels are made of fondant. The green trim and grey road is made up of my homemade buttercream (check out my buttercream frosting recipe here!). Also, I borrowed two of Leo’s Hot Wheels cars – which he took back right after he blew candles. What do you think of our car-themed birthday party? This is such a fun birthday themed idea. This would be perfect theme for my nephews upcoming birthday party this year. This is such a fun birthday party! I love all the decor and the cake is amazing. Oh how fun! Perfect for any cars fan. Love the cake idea too! Too cute. 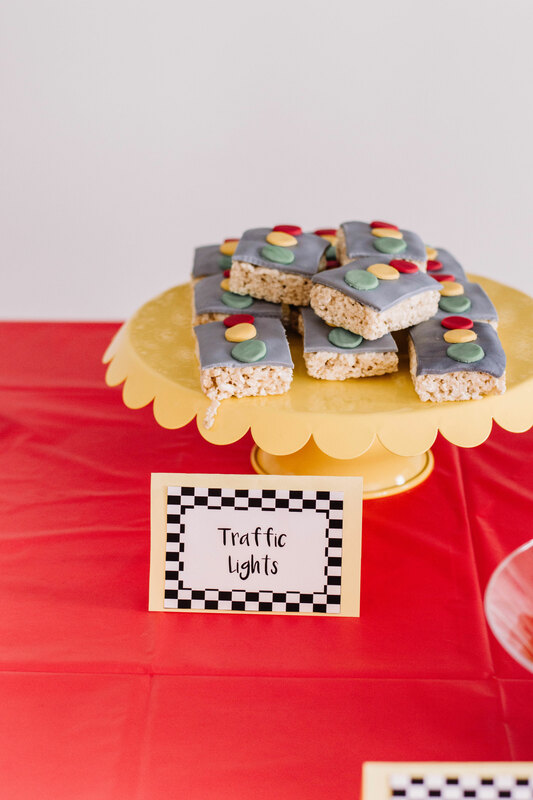 Now those are some gorgeous ideas for a car themed birthday party! I love the black and white chequered pieces. What an adorable party theme idea! I love the red, black and white color palette and those treats are too cute. This is such a cool party theme. And your car track cake turned out super nice! This is actually such a great theme for my daughter’s next party. She loves cars! Ok, that is the cutest party ever. I would love to have seen that one in person. Kids would adore it. I loved themed parties, and this is just too adorable. Love that cake! Everything looks so good! My oldest child was a car fanatic, this would have been a big hit with him! Well this car themed party is too cute for words!! I love all of the red, black and white! Very festive! That cake is so artsy, I am sure the celebrant loved it. I remember when my son turned 4, we did a car themed birthday party, it was fun. 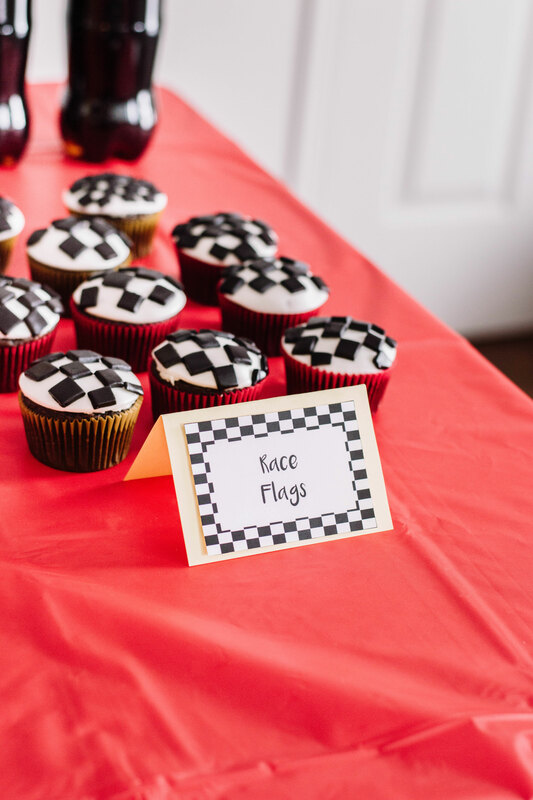 These car themed birthday party ideas are so awesome! My kid will appreciate all these details! What an adorable birthday party theme! Perfect for little boys. And I love the creativity in all those goodies. Brilliant! 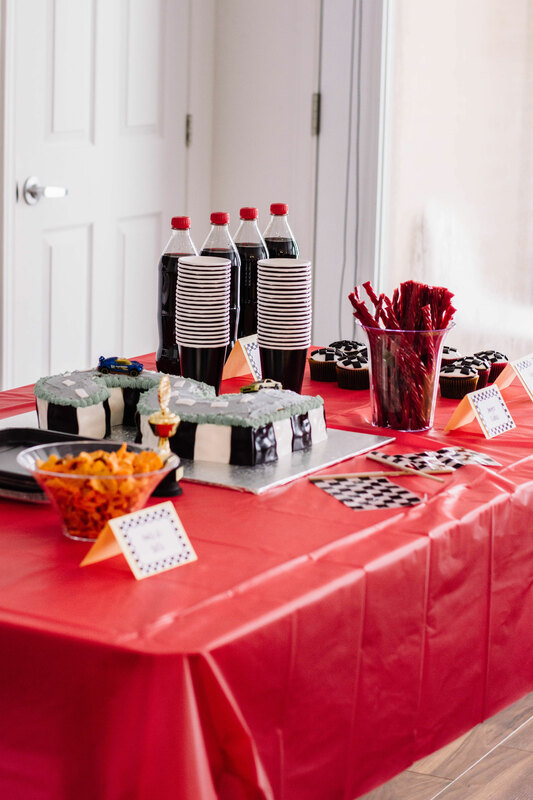 I love the idea of the race track cake and the wall decor with his name. So clever! We’re celebrating our baby girl’s first birthday (the last of the Torres bunch!). I’ll be implementing some of these ideas into our Pretty In Pink theme. That is such an awesome idea. I love all these great decorations and food ideas. That cake is amazing! I bet this was a hit!